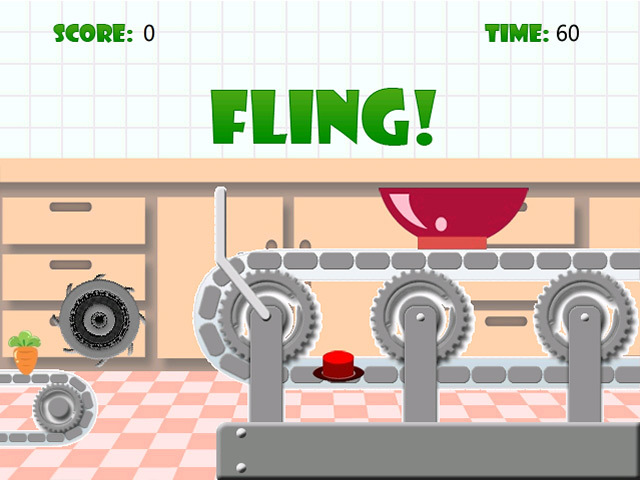 Break your own dinnertime rules and play with your food in Veggie Fling. 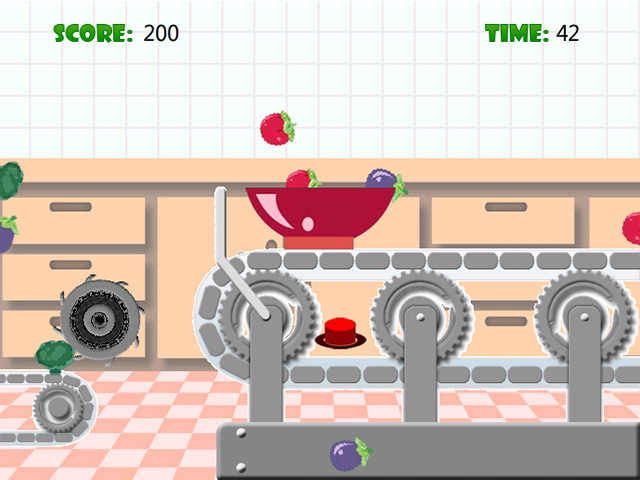 Fling as many veggies as you can into a bowl as they make their way down a conveyor belt in this online arcade game. Click your mouse to launch the veggies. Land as many veggies as you can in the bowl in 60 seconds. You’ll need careful timing and a fast click finger. Now that’s what we call a tossed salad! 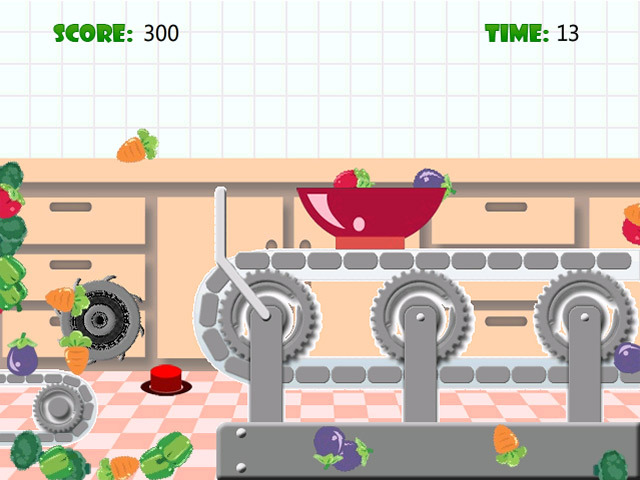 How many veggies can you fling?